Powerline outlines the poison pills. Ace suspects the GOP was in on it. Rush says it looks like both parties want open borders. You do not have to have a shut down, Mr. President. Delay a week or two. Get rid of the poison pills. Update: Oh well, Trump signed it, then declared an emergency. Why not declare an emergency and hold out for the poison pills to be removed? I suspect he will be attacked by those who want immigration curtailed and those who do not. Don Surber, however, says it is better than being reported and the poison pills are mostly out (I hope he is right). Jonathan Turley also thinks Trump will win the wall fight (read the whole thing, he makes some good points). Powerline: Hold the Hysteria on Trump's Emergency Declaration and Did Trump give away his claim of a national emergency? 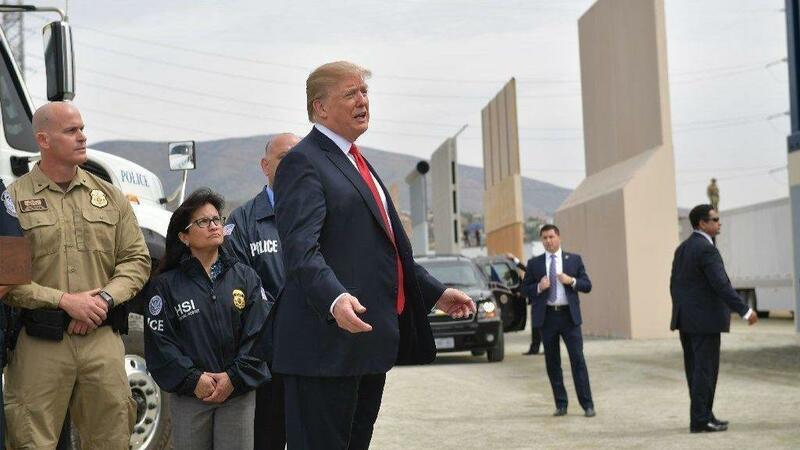 Instapundit: Here is where Trump could build 234 miles of border wall, Molon Labe: The Democrats lie and the NeverTrumpers did nothing to help Trump and now try to undercut him! That said, this deal is poison--the President should take his time dealing with it. Trump has several ways to go. Sign the bill and have the right to say the Demos have finally signed off on the wall. Sign it and declare a state of emergency (what McConnell says will happen). Don't sign anything and keep the shutdown going (I don't hear many complaints, anyway). Of course, there's always the Reichstag Fire Sale approach, don't sign it and declare a state of emergency (ya wanna throw a real scare in the Left, do that and see what happens). If he plays it right, this could be all kinds of fun. The bill as is hurts him many ways. He should not sign it as is (it weakens both declaring an emergency and getting anything done on immigration, it actually sets him back). He needs to dig in and get those poison pills out. He can do it without a shut down, but he should also not fear a shut down for this limited purpose.